UCLA’s Latino Policy & Politics Initiative (LPPI) has wasted little time in getting its message to the public and elected officials who serve California since it officially launched in December. 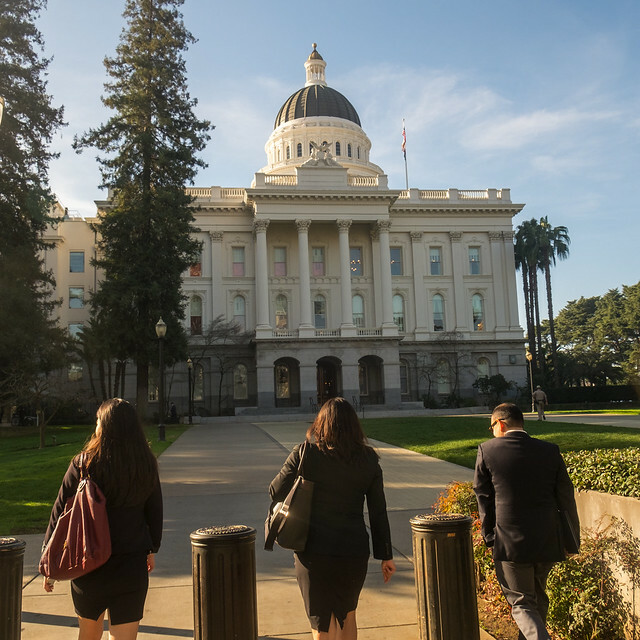 Part of that process was a trip to Sacramento Feb. 8-9, 2018, during which over half a dozen members of the LPPI team visited legislators and their staffs, and presented applied policy research before the California Latino Legislative Caucus. Under the guidance of UCLA Luskin Dean Gary Segura, UCLA Government and Community Relations and LPPI have embarked on a collaborative effort to promote faculty research and innovations. “LPPI was created to close this gap in both research and attention to the needs of ethnic minorities and low-income Californians,” said Sonja Diaz, LPPI executive director. “That being said, there are very important policy considerations, challenges and opportunities taking place nationally, so LPPI at this point is focused on state and local government innovation.” LPPI’s inaugural Sacramento legislative briefing included research on three policy areas: the Latino Gross Domestic Product; Criminal Justice and Bail Reform; and the impact of Social Science Research on DACA litigation. David Hayes-Bautista, director of the Center for the Study of Latino Health and Culture at the Geffen School of Medicine, presented on the Latino Gross Domestic Product, which established that U.S. Latinos are the seventh largest GDP in the world, if they comprised their own country. Otto Santa Ana and his team focused on the way that social science research can impact American legal jurisprudence in the two Deferred Action for Childhood Arrivals (DACA) cases in New York and California. Kelly Lytle-Hernandez, interim director of the Ralph J. Bunche Center for African American Studies, presented on criminal justice issues, with the help of UCLA Luskin students Sofia Espinoza and Isaac Bryan. “As researchers, we can provide them with cutting-edge research relevant to the most pressing issues of our time. At Million Dollar Hoods, for example, we are researching disparities in the criminal justice system, providing an unprecedented look at the staggering costs of hyper-policing and over-incarceration in low-income, Black, and Latino communities,” Lytle-Hernandez said.